Coming from outside the area to tour the gardens, farms and parks featured on Finger Lakes Permaculture Tour? 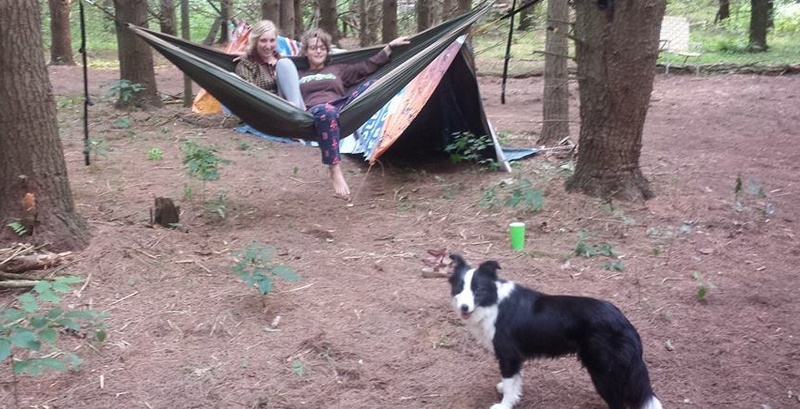 Would you like to camp at a permaculture-designed small farm? 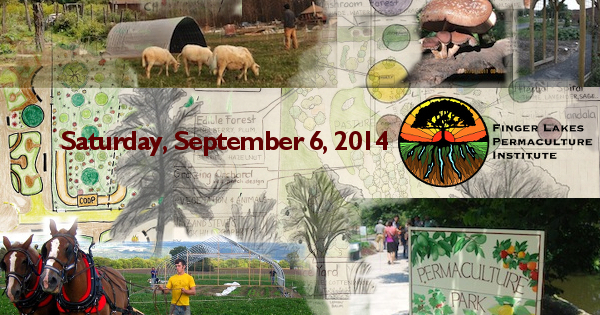 Does spending the weekend among permaculture aficionados and practitioners sound appealing? Cayuta Sun Farm invites you to camp Friday and Saturday night among the white pines of our woods; the same camp permaculture students use each summer for the Finger Lakes Permaculture Institute’s Design Certification course. Guests can arrive on Friday afternoon, September 5th. In the evening, we’ll have a campfire and if it rains we can show permaculture movies in our octagonal classroom. During Saturday’s tour, Michael Burns will offer a walk of the land and its systems at 10 a.m., 11:30 a.m., 12:30 p.m., 1:30 pm. and 3:00 p.m.
Cayuta Sun Farm’s shiitake mushrooms, plus pasture-raised chicken and pork will be on sale and a chicken barbeque will run from noon through 3 p.m. offering lunch. Join us for morning animal chores! Explore the nearby Finger Lakes Trail. Visit nearby cheese-makers, wineries, and other Schuyler County attractions. Guests should pack up by evening. For campers, there is one hot shower and two camp toilets. Our yurt has washing and drinking water. Campsites are scattered through the soft floor of our pine forest. Our parking field can accommodate a few RVs although no electric or water hookups are available. You may RSVP via this form. An invoice will be emailed to you. You can pay via credit card, Paypal, check or cash. Your payment guarantees your campsite.